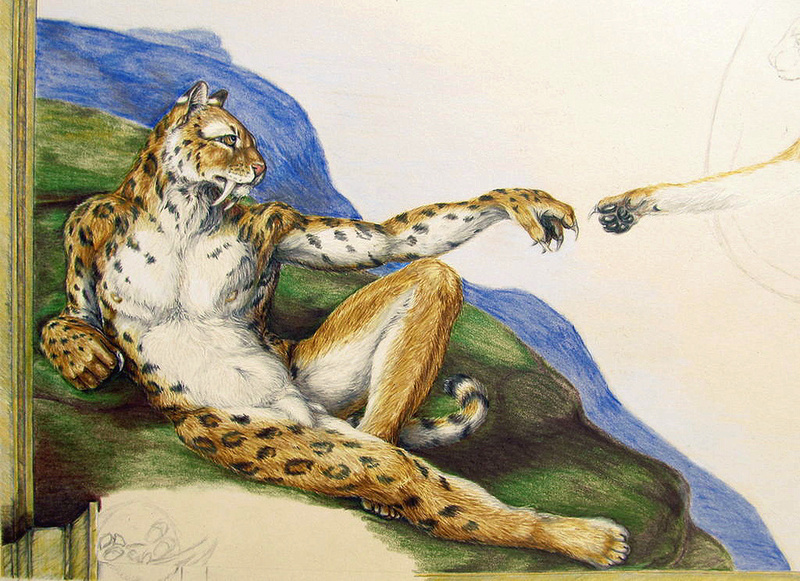 Done in the style of classical art, this colored pencil drawing by Teiirka is of a grand scale, similar to the work that inspired it. The complete sketch will include an anthro take on the entire original work. Teiirka is an under-appreciated talent. His work has stunning detail, great form, beautiful execution. His work can be found here: www.teiirka.deviantart.com . All credit goes to Teiirka, who is an awesome artist.